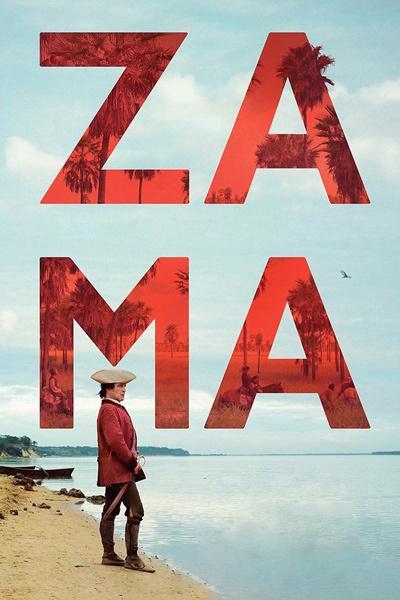 At the start of Lucrecia Martel’s Zama—the finest film of 2018 so far—Don Diego de Zama, a functionary of the Spanish empire, stares out from an unnamed shore at an indefinite horizon. The view from this perch is nice, but it’s old news; standing ashore with his eyes trained anywhere but on his dire present circumstances has more or less become the man’s day job. Lately, though, the view from the shore has itself become a tough pill to swallow. Zama, played with maddening self-possession by the Mexican actor Daniel Giménez Cacho, is a magistrate posted in the unglamorous backwaters of 18th-century Paraguay, where he’s more or less destined to rot, thanks to a new rule preventing New World-born Creole americanos like himself (as opposed to men born in Spain) from rising any higher in the ranks than he already has. It’s possible he’s in denial about that fact. Repeatedly deflated by the local governor’s insincere efforts to get him transferred back to civilization, Zama nevertheless has such a high-minded sense of his own status that what everyone else understands as a bad case of inescapable, Sartrean limbo appears, to Zama, to be a mere matter of red tape. He knows but doesn’t know that it’s more or less too late, that his maneuvering will get him nowhere. When an indigenous man spins him a tale about a fish out of water, doomed to remain stranded on its banks, Zama listens with his usual detached curiosity, maybe internalizing it, maybe not. Clearly, though, he’s the fish. By the end of Zama, he most certainly realizes as much. But it costs him an era of his life—to say nothing of limb. Cacho’s performance as Zama, certain to be one of the year’s finest, is what seals the deal, in that regard. It’s a role premised on quiet panic—a character slowly but unavoidably coming to terms with being belittled by his own power. Martel, a consummate critic of that power, would of course be the first to laugh at that. She keeps Cacho front and center, in shallow focus, with his agile gaze exaggerated and his red-hot internal drama roiling beneath his deceptively aloof exterior. It’s a tour de force, and Zama is the rare movie good enough to deserve it.